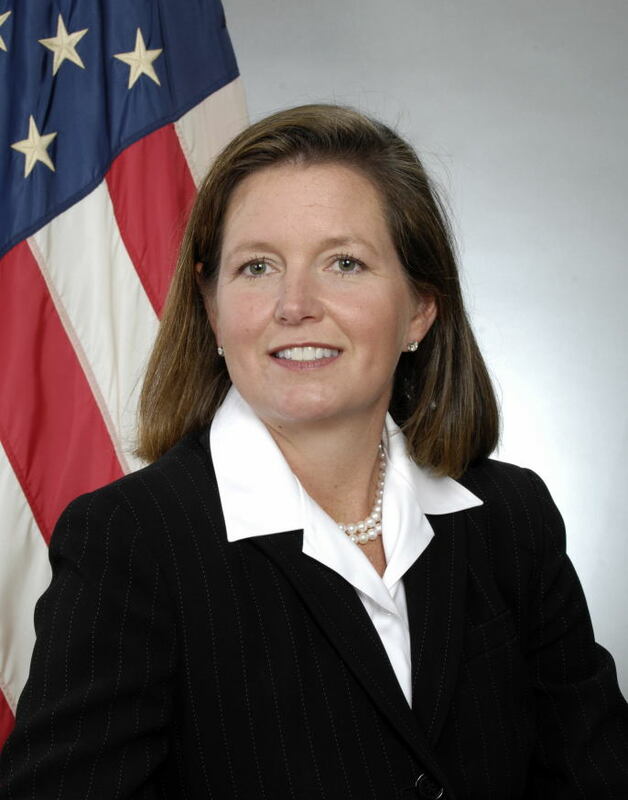 Meredith Attwell Baker serves as Acting Assistant Secretary for Communications and Information and Acting Administrator of the National Telecommunications and Information Administration (NTIA). NTIA is the President’s principal adviser on telecommunications and information policy. Named as Deputy Assistant Secretary in February 2007, Ms. Baker first joined NTIA as a Senior Advisor in January 2004, and also served as Acting Associate Administrator for the Office of International Affairs and on detail to the White House, Office of Science and Technology Policy. NTIA advises and represents the Executive Branch on both domestic and international telecommunications and information policy activities. With a core mission to promote market-based policies that encourage innovation and benefit consumers, NTIA pursues the effective and efficient utilization of radiofrequency spectrum by the federal government though its management of federal spectrum use; performs cutting edge telecommunications research and engineering, including resolving technical telecommunications issues for the federal government and private sector; and administers grant programs that support infrastructure and public telecommunications facilities. To help facilitate the nation’s historic transition to digital television, NTIA administers programs to help make the transition affordable for consumers by providing coupons to eligible households that will defray the cost of digital-to-analog converter boxes; and to support interoperable communications systems for first responders using spectrum made available by the digital transition for public safety purposes. NTIA also advises the Executive Branch on economic, policy, and technology developments affecting the global information and communications market environment, and on the management of the Internet’s domain name and numbering system. Ms. Baker and NTIA staff have served on delegations representing the United States at major international telecommunications conferences and engaged in bilateral discussions with senior level officials from countries around the world. Before joining NTIA, Ms. Baker was Vice President at the firm of Williams Mullen Strategies where she focused on telecommunications, intellectual property, and international trade issues. Earlier, she held the position as Senior Counsel to Covad Communications from 2000 to 2002, and Director of Congressional Affairs at the Cellular Telecommunications Industry Association (CTIA) from 1998 to 2000. Ms. Baker worked at the U.S. Court of Appeals Fifth Circuit in Houston and later at the law firm of DeLange and Hudspeth, L.L.P. From 1990 to 1992, she worked in the Legislative Affairs Office of the U.S. Department of State in Washington. Ms. Baker and her family reside in McLean, Virginia. Challenges and Strategies to Promote Universal Service: Meredith Attwell Baker, Acting Assistant Secretary for Communications and Information, discussed the "Challenges and Strategies to Promote Universal Service" at the Asia-Pacific Economic Cooperation (APEC) Telecommunications and Information Working Group on April 24, 2008, in Bangkok, Thailand. A Strong Communications Infrastructure is Key to Economic Success: Meredith Attwell Baker, Acting Assistant Secretary for Communications and Information, presented the reasons why "A Strong Communications Infrastructure is Key to Economic Success" at the Massachusetts Technology Leadership Council on Thursday, April 17, 2008 in Boston, Massachusetts. Consumer Electronics Association Luncheon Keynote Address: Meredith Attwell Baker, Acting Assistant Secretary for Communications and Information, presented the Luncheon Keynote Address at the Consumer Electronics Association Washington Forum on Thursday, April 3, 2008, in Washington, DC.